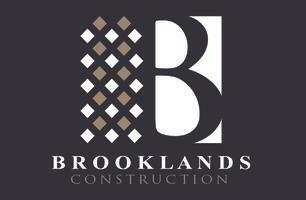 Brooklands Construction Ltd - Builder based in Gravesend, Kent. Here at Brooklands Construction we have over 10 years of combined experience in UK property development. By working on large residential projects for new homes, we saw how the average homeowners were unappreciated and underserved by the UK construction industry for home renovations and building work. We saw a need in the market for a trustworthy and proficient company to approach home construction and refurbishments with the same professionalism we execute our new-build projects. That’s when we decided to start providing our services direct to homeowners, in addition to our existing large-scale projects. As a result of our expertise in building new homes, since we began serving home owners directly, more and more families recognized our speed and proficiency in new build shellwork, especially in bricklaying. It is for this reason that for homeowners, Brooklands Construction has become the ‘go-to’ firm for home renovation projects with an emphasis on home extensions. For domestic building work, we cover Kent and the surrounding areas including Greater London. Get in touch today and find out for yourself about our friendly and reliable service.